Amaranthine`s Baby Girl Pink Gerbera Bouquet is bursting with beautiful bright Gerberas in pink tones and lush green foliage. A gorgeous floral gift and ideal way to say: Congratulations on your new arrival, Thank you, I miss you, Happy Birthday or Thinking of You. A fantastic option for flower delivery in Charlestown, Newcastle. A beautiful way to say it all. 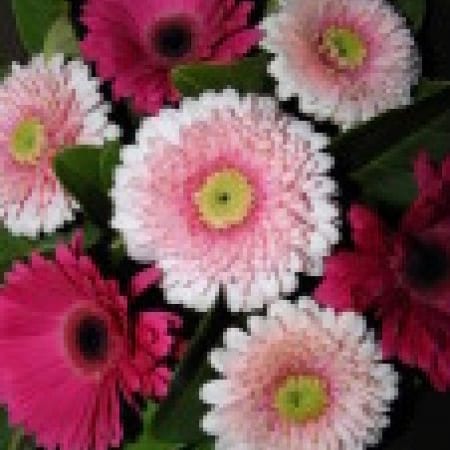 Any room will be a pleasure to walk into a room with Amaranthine`s Baby Girl Pink Gerbera Bouquet to brighten the space, ideal for the home, office or hospital room. Created by Amaranthine Flowers By Design. Your local florist in New Lambton, Newcastle.